Since 2004, DJ REAL has been rocking nightclubs from Santa Barbara to Santa Maria with his outstanding style and incomparable skill. A battle and hip hop DJ at heart, DJ REAL has been in numerous DJ competitions throughout the West Coast, including Santa Barbara's Sharkeez and Indochine's seasonal DJ battles. He holds rotating nightclub residencies at Blush, Rooney's, Jasper's, and the Rancho Bowl. DJ REAL is regularly featured on 103.3FM the VIBE's Morning and Drive-time Mixshows, as well as the legendary zmix97.com. 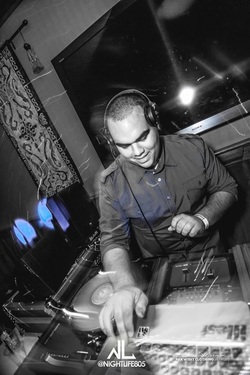 DJ REAL's unique style and vast musical knowledge sets him apart as one of our most versitile and talented crew members. As an outstanding performer at weddings, school/proms, corporate and other private events, we are proud to have him on our team as an outstanding DJ and MC.